To raise awareness for Summit County’s mountain pine beetle problem, Frisco’s set to hold its third annual BeetleFest Saturday on Main Street. This fun-filled (and educational) event sheds light on the pine beetles’ impact on the Rocky Mountain forest, and all proceeds go to the Friends of the Dillon Ranger District. Funds will support the local nonprofit’s forest fire mitigation and restoration efforts. “We have a great, diverse lineup for the event,” said town marketing director Suzanne Lifgren of the beetle jubilee. “We’re also looking to collect food at the event to benefit those effected by the Boulder fire.”Event attendees should bring dry food products to donate to Colorado’s most recent fire victims.BeetleFest activities include a 4K Beetle Stomp Run, a lumberjack show – featuring hot saw, climbing tall trees, a quick carve, ax throwing, a lumberjack obstacle course and a log rolling demonstration, wood carving demonstrations from three artists, the VW Slug Bug – beating a VW Bug with a bat, and live music from the bluegrass band White Water Ramble. 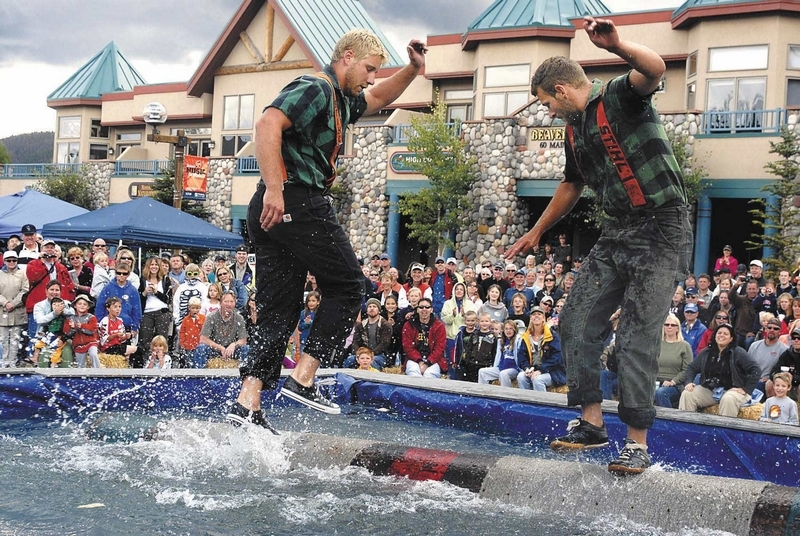 Participants can also guess how many bugs are in a jar to win a chainsaw.”Carvers on the street will be demonstrating and selling statues, totem poles and wood sculptures,” Lifgren said. “There will also be artisans on street who make furniture, frames and dog bowls out of beetle-killed wood.”Lifgren also added that there will be a station where people can purchase real or fake candy bugs to eat – as a dare.”The butterfly pavilion is coming up too, with all sorts of creepy crawlers, along with the mountain pine beetle to show and hold,” she said.Registration for BeetleFest’s 4K Beetle Stomp, put on by KSMT and the Summit Daily News, starts at 8:30 a.m. The race will kick off at 10 a.m. at the Historic Park Gazebo on Main Street. For more details and to register for the run, please visit http://www.theevilpinebeetle.com. BeetleFest is a pet-friendly event, but no outside alcohol is allowed.